International property consultancy firm Rahim & Co is hoping a guideline will be provided on the newly-imposed limit on sales of new homes priced up to RM300,000 for first-time home buyers. "A clearer guideline is probably required. Developers can price a project at RM300,000 a unit but it may be a shoebox unit. In that case, the buyer still has to pay RM800 psf for a unit," said Rahim & Co research and strategic planning director Sulaiman Ahmad during the launch of Property Market Review 2015/2016 report. 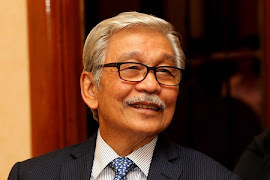 However, Rahim & Co executive chairman Tan Sri Abdul Rahim Abdul Rahman said the policy is the right move to encourage house ownership among Malaysians and discourage speculation on affordable housing. He also said that the government’s minimal-intervention stand towards the property sector was appropriate as the segment should correct itself based on the open market and available liquidity, although the latter is one of the reasons causing the temporary market slowdown. According to the report, there was an annual 3.5% drop in property transactions and 6.6% drop in transacted value in 1H2015. Abdul Rahim expected the property market to continue to be challenging, with moderate activity in 2016. "Property prices are still expected to rise but more marginally for the residential sector. Depending on the location and type of property, some may see price consolidation as the gap between sellers' asking prices close towards buyers’ expected prices," he noted. Sulaiman also expected the office sector to remain challenging due to greater incoming supply into the market. Prices and rental rates are expected to be competitive, and the same goes to the retail sector.